Online marketing agency Web Profits has opened its second international office this year, setting up shop in Asia after long-term Australian client Bellamy's Organic requested Web Profits join them in expanding to the region. ASX listed Bellamy's Organic, which makes organic products such as formula, cereals and snacks for babies and young children, proposed the Sydney-headquartered Web Profits open an office in Singapore after concluding there were no local options that could provide a full multi-channel marketing offering, integrate fully with the brand, and scale campaigns across the South East Asia region. Bellamy's Organic, which is experiencing significant demand for its products throughout Asia, incentivised Web Profits to expand its business to the region by agreeing to a long-term contract extension. Web Profits is launching its full service Fluid Online Marketing offering - which is currently being used in Australia by Bellamy's Organic - across Asia to drive sales for clients and ensure their digital investment is maximised. Says Paul Sprokkreeff (above, right), managing director of Web Profits: "We have worked with Bellamy's for three years and over that time have built a highly productive relationship that has seen both their and our business flourish. We are honoured that they have asked us to open a base in Singapore to support their push into South East Asia. For an agency, there can be no greater endorsement from a client." 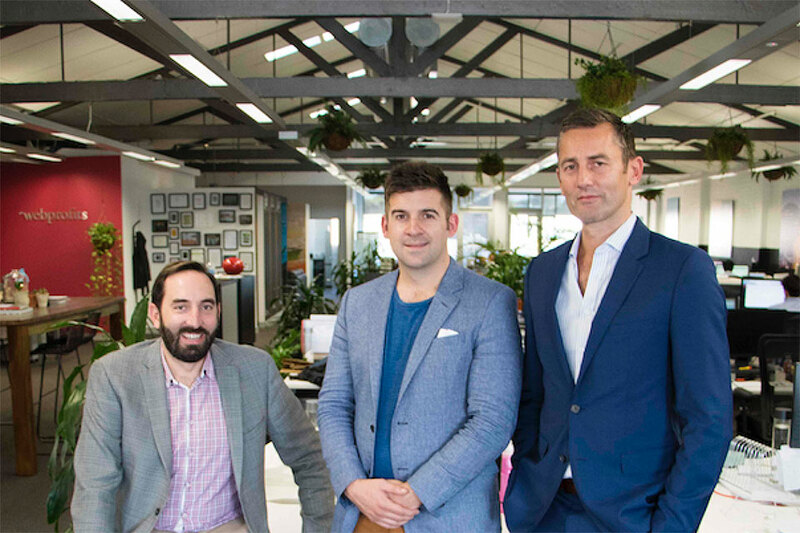 Says Ben Lovitt (above, centre), marketing manager, digital integration at Bellamy's Organic: "Having worked closely and successfully with Web Profits for a number of years, it seemed natural that we looked to them first to help us expand our successful digital marketing strategies into South East Asia. To that end we asked if they would consider opening an office to support us in Singapore as they have a deep understanding of our business culture and brand voice, both critical to driving a successful strategy. We are delighted they agreed to support us, and we're also delighted that we were able to help a great Australian business expand internationally." The move is the latest expansion for the fast growing agency and follows the creation of a joint venture agreement in the US with leading American digital marketing specialist and entrepreneur Sujan Patel. Says Ben Fitzpatrick (above, left), Web Profits strategist and lead on the Australia and South East Asia business for Bellamy's Organic: "The Bellamy's campaign's success to date stems from the hard work of our team of industry-leading specialists at Web Profits, who bring their passion, creativity and expertise to every campaign. We're all excited and eager to build on our success in Australia as we expand to South East Asia." Web Profits started ten years ago and currently employs more than 80 online marketing specialists and works with companies including Westfield, China Eastern Airlines, CUA, Swarovski and Real Insurance to boost online lead and sales generation.